Ford has revealed that its GT is significantly more advanced than most people think. It is said to generate around 100GB of data every hour thanks to the 50 plus different sensors found in the car that monitors everything from the position of the pedals to the amount of humidity in the air. Equivalent to around 25,000 music downloads, the huge amount of data is processed by 25 onboard computing systems that are controlled by 10 million lines of code. Ford says that is more code than used on the Lockheed Martin F-35 Lightning II and it allows the car to go through 300MB of data every second. 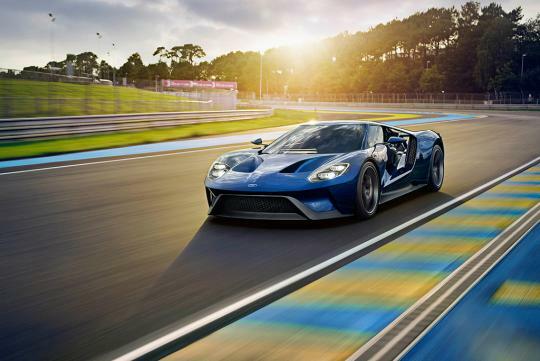 "By constantly monitoring inputs, vehicle loads and environment, and adjusting the car’s profile and responses to suit, the Ford GT remains as responsive and stable at 289km/h as it is at 28km/h.”, says Ford Performance global director Dave Pericak.